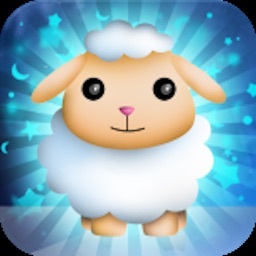 Baby Nightlight is a magical app that lights up in the dark and gives off soft and comforting light until your baby is deeply asleep. 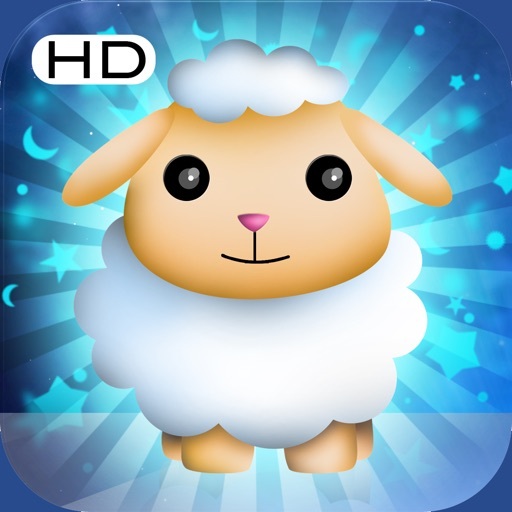 With our adorable little animals, the fear of the dark disappears and your child falls asleep reassured and in good company. 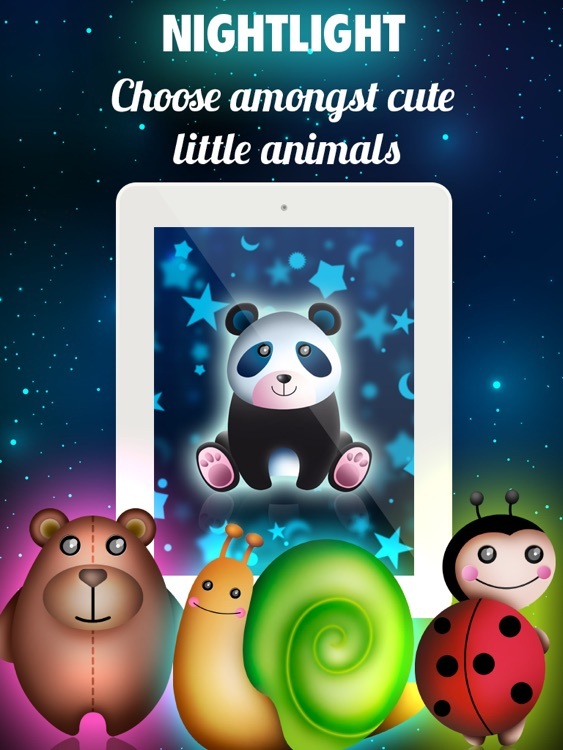 Choose from a variety of small animals. 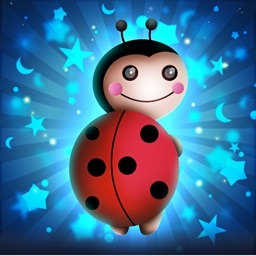 Calm your child thanks to the sweet little faces of our adorable little animated nightlights. Make panda or sheep sing as you please. 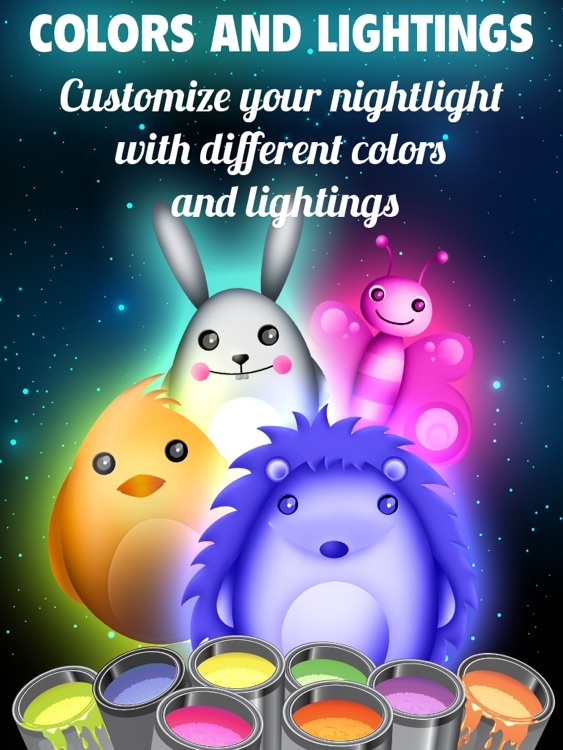 Customize your nightlight with a color palette, spice up things by using the blue, green, yellow and many other colors! 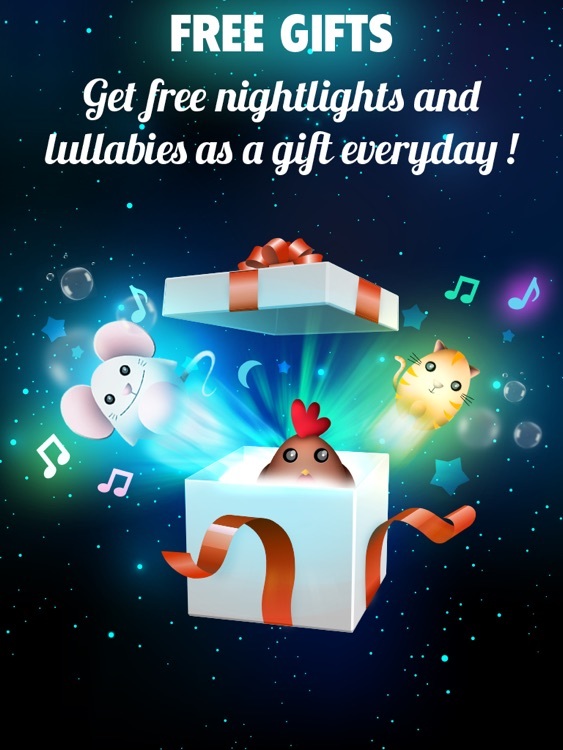 Choose amongst lullabies and noises in the app or import your own music to create great and personalized music playlist. 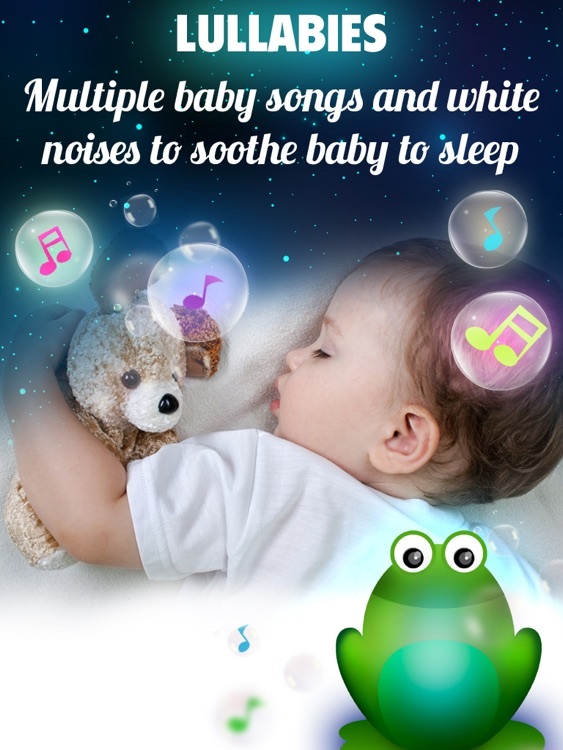 Choose the songs, set the time and leave your baby to fall asleep peacefully. Its lighting effects, its rotary motions and variable light intensity make it a quality nightlight that is ideal to calm the night apprehensions of your toddlers and help them drowse peacefully; they will sleep under a starry sky. Rock your child with the gentle sound of lullabies and soothing sounds. The sound of the waves or a beautiful nursery rhyme, just choose what will suit him the best. The nightlight will automatically light up to soothe and put your child to sleep again when he wakes up. 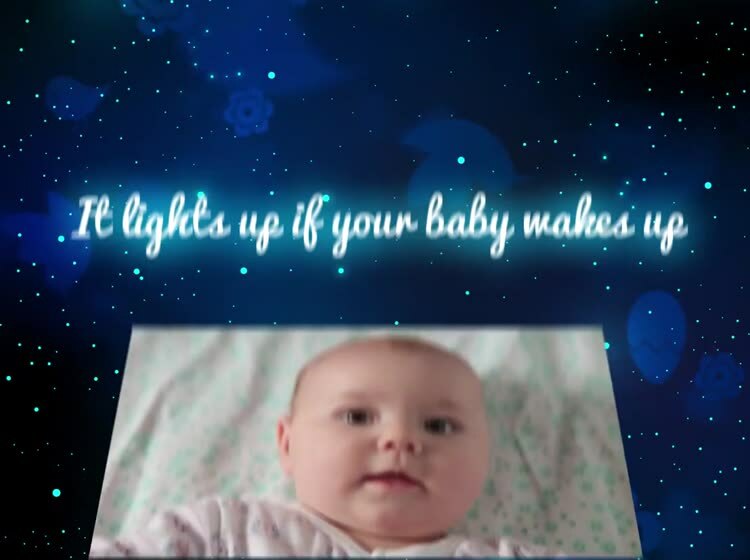 Through its automatic ignition function sensitive to sounds, the nightlight will switch on as soon as the baby starts crying or writhe, and then he'll quickly go back to sleep without the need for you to constantly intervene. 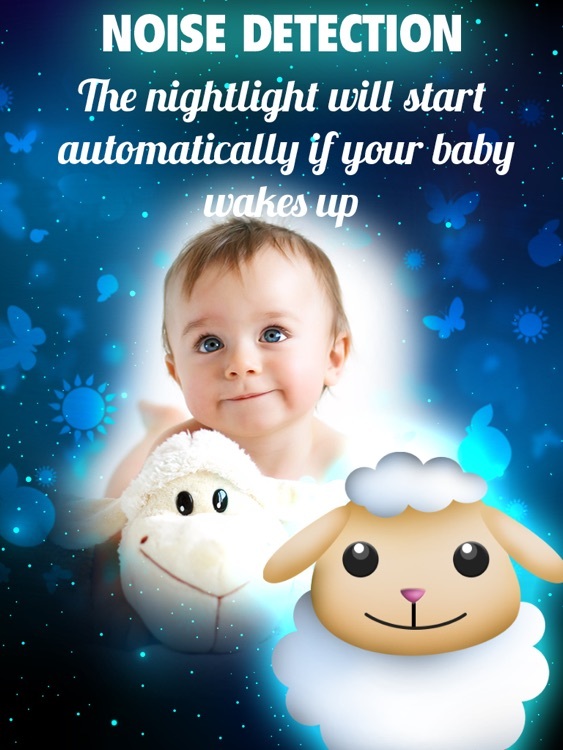 Set the nightlight to the time needed for your child to fall asleep. 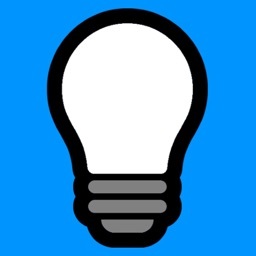 The timer function allows you to set how long you want the nightlight to shine before it gradually switches itself off. A tender and convenient way to accompany your baby to sleep. 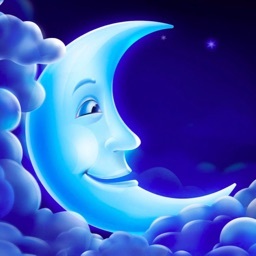 Created for the comfort of babies and the peace of mind of parents, Baby Nightlight will be useful at home or on vacation and will make your child have sweet dreams. WARNING: Parents are advised to turn on the Airplane mode on the baby's device in order to eliminate noise and reduce the emission of signal waves. It is not recommended to leave the device on your baby's bed. To ensure the safety of your child, it should preferably be placed on a nearby table. The editor shall not be held responsible in case of problems.